Kitchen remodels don’t happen every day. When the time comes to remodel your kitchen, it’s important to make the most of your effort. The following five tips will help you complete a smart remodel that will last for decades. 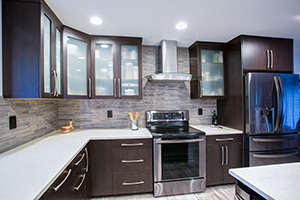 1.Think like a buyer: When contemplating a kitchen remodeling project, imagine you’re in the market for a new home and are seeing yours for the first time. What are the shortcomings of your current kitchen? What would make a potential buyer turn around and look at another house that’s on the market? Is it too small? Is the design poorly laid out? Is it dark and depressing? Is it too enclosed, so you can’t converse with guests while entertaining? Are there areas where cabinets and countertops could be added? 2.Make room to move: Many homeowners naturally focus their designs on storage and counter space, but leaving space for wide walkways is just as important. Wide walkways enable people in your home to move and work harmoniously in the kitchen. Wide walkways are also important for accommodating extra people on special occasions, which makes your kitchen space better able to meet your needs year-round. 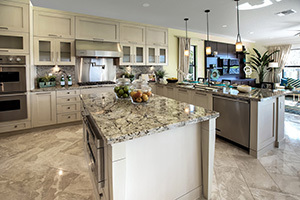 3.Design for the needs of your household: It may be tempting to replicate the designer kitchens you see in magazines, and this is certainly a good way to impress buyers if you’re thinking about selling your home. 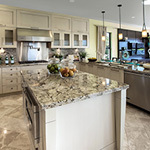 However, if you’re planning to stay in your house for many years to come, your kitchen remodel should solve your unique problems relating to your current kitchen. Work closely and meet with your contractor throughout the planning stages to discuss what works and what doesn’t in your current kitchen. Try not to worry too much about the standards set by home improvement publications. 4.Set up task stations: To prevent members of your household from getting in each other’s way, set up your kitchen with task stations, where different projects and stages of food preparation can be completed by different people. 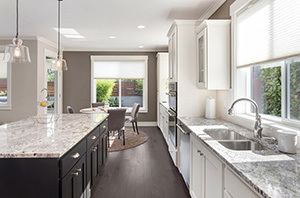 Each task station will need workspace, a light source and an appliance or fixture to accommodate completion of a task (i.e., a task sink for rinsing vegetables, an oven for baking and cooking, etc.). 5.Fill spaces with light: Task lights that shine overhead and illuminate specific task stations are just as important as the presence of adequate natural light for daytime use. You may be surprised to find out how many different types of lighting can go into one kitchen renovation, and how the lighting options can affect the appearance and functionality of your kitchen. To ensure full functionality when your kitchen remodel is complete, work with your contractor to go over all your lighting choices.